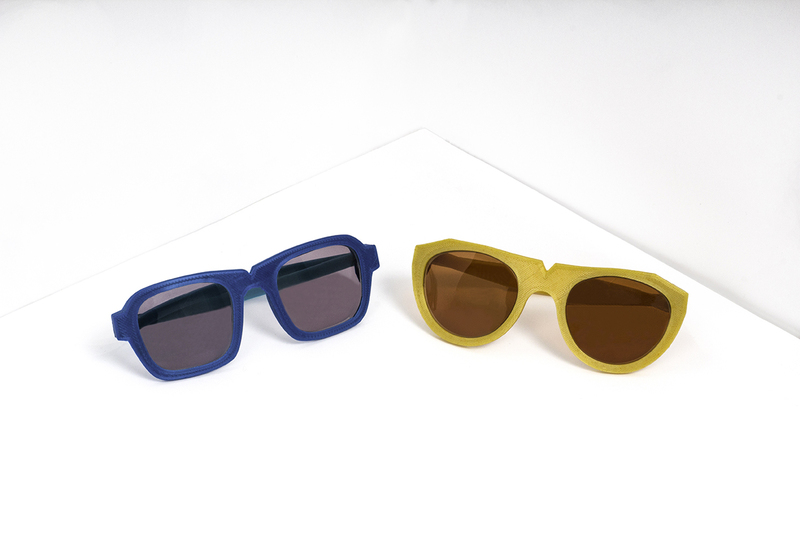 Crafting Plastics Studio uses a patented mixture to create durable, streamlined eyewear that won’t outlast your lifespan. Accessories design has long been governed by the principle of making timeless pieces from finite resources. For Vlasta Kubušová and Miroslav Král, founders of Crafting Plastics Studio, the sustainability-driven design firm with studios in Berlin and Bratislava, Slovakia, material goods should neither deplete the earth nor outlast our time on it. That’s why, in 2015, the duo teamed up with Pavol Alexy, a scientist from the Slovak University of Technology to create durable, biodegradable plastic. A year later, the designers launched a range of entirely sustainable eyewear made of cornstarch polylactic acid and PHB (a polymer made by microorganisms). The patented combination is stronger and more heat resistant than the average bioplastic, extending its potential beyond transient goods like packing peanuts and cutlery. Colored with flower- and algae-based dyes, the bioplastic is siphoned through a 3-D printer to form light frames that don’t require metal hinges or screws and are made of recyclable, mineral-based glass lenses. Experimenting with home goods prototypes such as coffee tables and vases, Kubušová and Král intend to expand their use of the bioplastic to other areas of design, and even make the material accessible to fellow designers. Until then, the pair is on a mission to make attractive, modern glasses that consumers will love—and that the environment will, too.